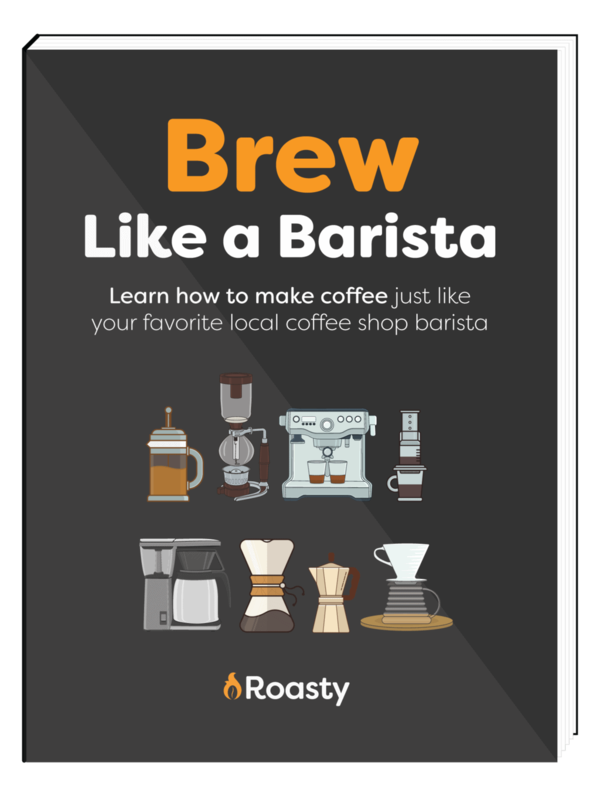 As a coffee devotee and aspiring home barista, you’ll appreciate the importance of understanding the difference between the various beverages that your friends will expect you to create for them. We know this. And that’s why we’re on a mission to provide you with all the information you’ll need to not only discuss the history of the various coffee-based drinks but to be able to expertly create them too. Today’s lesson focuses on the café latte and the café au lait, two European-origin drinks that are among the most popular around the world today. Many folks, who are clearly not baristas, assume that the latte and the café au lait are the same thing – coffee made with milk. Well, yes and no. The café latte originated in Italy, before being adopted in Europe, and then in the US. This beverage is typically made using one or two shots of espresso, topped-up with steamed milk, and finished with a small layer of foam on top. A café latte has more milk than a cappuccino and less foam. The trademark of a true latte is the artwork that the barista creates on top. 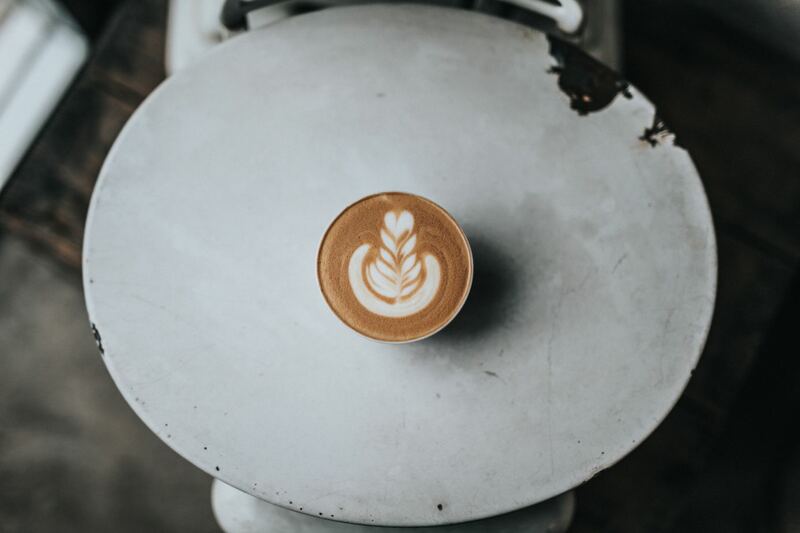 Latte art is thought to have originated in Italy, which makes sense when you consider that the beverage has its roots there. To have any chance of creating a stunning piece of latte art, you must first be able to produce an espresso with good-quality crema. You then need to foam your milk so that it forms a thick microfoam with which to top your latte. As you add milk to the espresso, the white foam rises to the top of the glass, meeting the crema as it does so. As you move the milk pitcher, a pattern is created on the top of the beverage. There are two methods of creating latte art: the free pouring technique and the etching method. We would encourage you to practice and perfect the free pouring method – that’s the pro way of doing it. Etching is really the poor man’s way of producing a quick and easy piece of latte art and is commonly used in coffee chains such as Costa. For free pouring, the glass must be kept level or slightly tilted. As you pour the milk, the tilt of the glass will cause the milk to surface on one side. You then move the pitcher from side-to-side, finishing with a quick strike through the pattern you’ve created. This method should produce the traditional floral or feather design of latte art. You can also create a heart shape or an apple shape for variety. Etched latte art doesn’t last as long as the images created using the free pouring method. You can use a stick to etch your image on the top of the beverage, which can be effective if you’re artistic. However, the usual method used in coffee shop chains is to pour vast quantities of chocolate powder through a metal stencil onto the top of the beverage. This shabby attempt at mimicking true latte art is generally used to top cappuccinos, as the foam layer is thicker. Start by prepping an 8-ounce cup or glass- the standard for lattes. Your latte starts with an espresso shot (or two if you want a stronger coffee flavor). The espresso should take up about 1/6th of the glass. Add 5 to 6-ounces of steamed milk, and top the beverage off with a thin layer of milk foam. Don’t forget to create a stunning piece of free-poured latte art on top of the drink during the pouring process. As the name, café au lait would suggest, the beverage was first created in France. In fact, “café au lait” literally means, “coffee with milk” in French. A café au lait is created using brewed coffee and steamed milk. The drink is made up of one part coffee, and one part steamed milk. Café au lait typically doesn’t have foam on top, although some coffee houses do flirt with tradition by adding some. Additionally, purists like to use French press brewed coffee to create the coffee base for this beverage. Café au lait is never to be confused with “white coffee,” which is simply brewed coffee made using cold milk or with powdered whitener added. One popular variant of the café au lait is served at coffee shops in New Orleans where it’s made using milk, coffee, and chicory. This gives the coffee a distinctive, strong, and bitter flavor. American café au lait, as it’s known, is made using scalded milk (milk that’s heated until it’s just below boiling point), rather than steamed milk. Also, American café au lait is usually served with sweet, powdered sugar-coated beignets to offset the chicory’s bitter flavor. So, why pollute good coffee with bitter chicory root, you ask? Well, that goes back to the American Civil War when there was a coffee shortage. Coffee drinkers in the south had to get creative, using chicory to pad-out what coffee they had available. And the fusion has stuck ever since. Café au lait is traditionally served in a small bowl. The serving method does cause the brew to cool down quickly, so some coffee houses use a smaller cappuccino cup instead. So, now you know the crucial differences between a café latte and a café au lait, you need never be embarrassed when you’re called upon to explain what’s what to your coffee drinking friends. A café latte is made using a shot of espresso, steamed milk, and topped with a thin layer of foam. Don’t forget the essential latte art! Café au lait is made with brewed coffee and steamed milk, minus the foam. Lattes are traditionally served in a tall glass. Café au lait is traditionally served in a wide-brimmed bowl.